When we experience illness or pain, fear and negative self-talk quickly creep into our psyche. While these emotions are common, they also create stress hormones that impair our body’s ability to heal. These emotions also create resistance to experiencing mental and physical well-being. 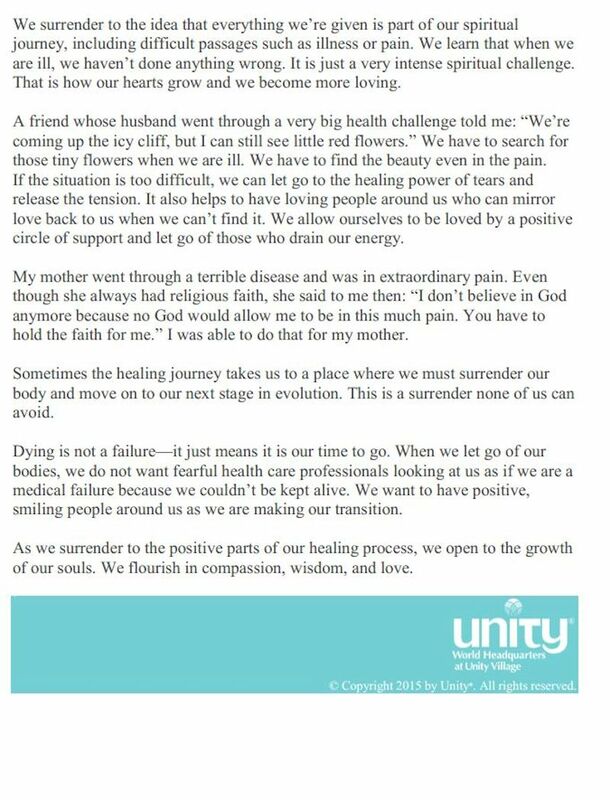 When we take a step back and look at the broader perspective, illness, in many ways, can be seen as a kind of gift—in that it can put us in a situation to begin to listen to, and connect with, our inner wisdom –a empowering gift in our lives. When we surrender to the idea that everything in our experiences serves us, including the most difficult challenges, we can then open ourselves up to healing and the infinite supply of well-being available to us all. 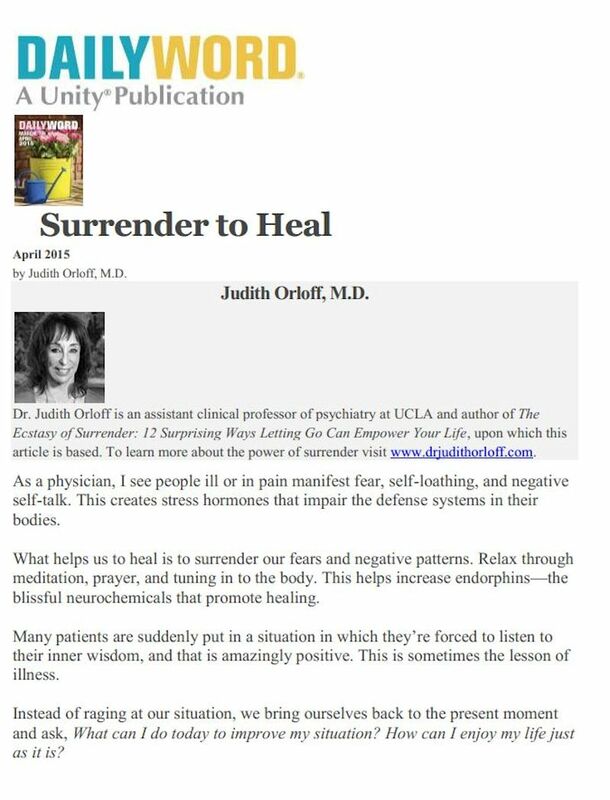 In this article I wrote for the Daily Word, I share the impact that surrendering can have on the healing process and our soul’s expansion. Read the full article on Daily Word here.